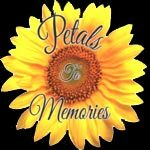 Petals to Memories was first conceived from the inspiration of my late mother. She very peacefully passed away in August of 2013 at the age 93. As a way to preserve her memory and offer a keepsake to my family, I began to make beads from the dried flowers from her funeral. I first made a necklace, bracelet, and earring for her sister. Her sister was amazed that the flowers were forever preserved in the beads. She was so touched that a small part of her sister would be carried with her as she wore the jewelry. 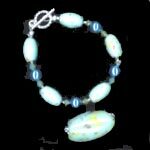 As more family members heard of this, they requested keepsake jewelry as well. They were captivated with the beauty of their keepsake. People had never heard of these keepsakes and they were astonished that such a process existed to where flowers could be preserved for all time inside of a bead and made into jewelry. Soon, I had people asking me to make keepsakes for their family. People approached me with flowers from funerals, weddings, and other special occasions. Then, I began to embed the flowers into pendants with a clear glass-like coating. The flowers are forever preserved and will never fade from their original beauty. Just as I first began preserving the memory of my mother, it would be an honor to preserve the memory of your loved one, special occasion, or other memory that you want to carry with you forever.